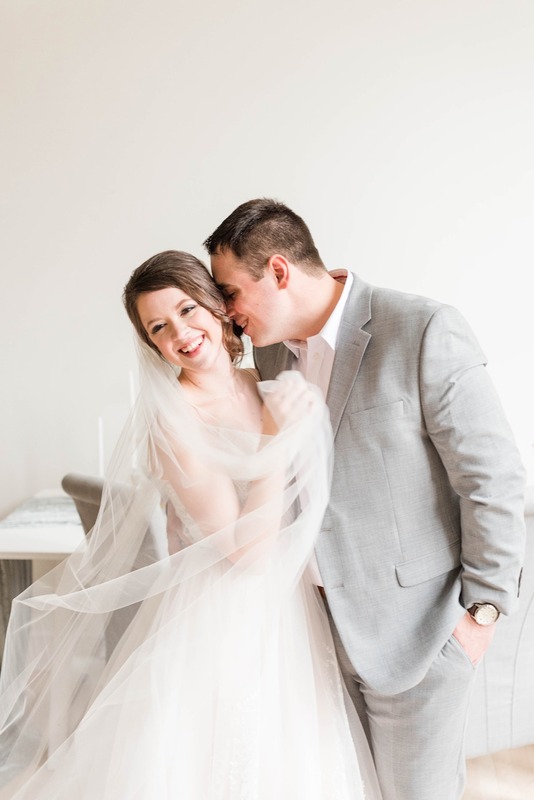 We can’t say enough about how much we love this airy and romantic elopement inspiration from Sweet Williams Photography. The elegant design conveys a carefree romance with fresh spring florals, greenery and soft pastel colors in shades of blue, mauve and gold. 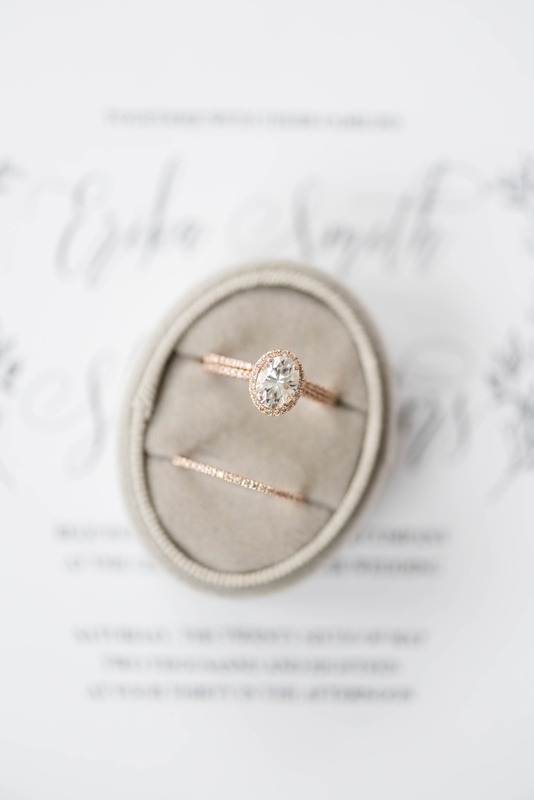 It’s effortless yet timeless, and it’s arrived just in time for the spring wedding season! 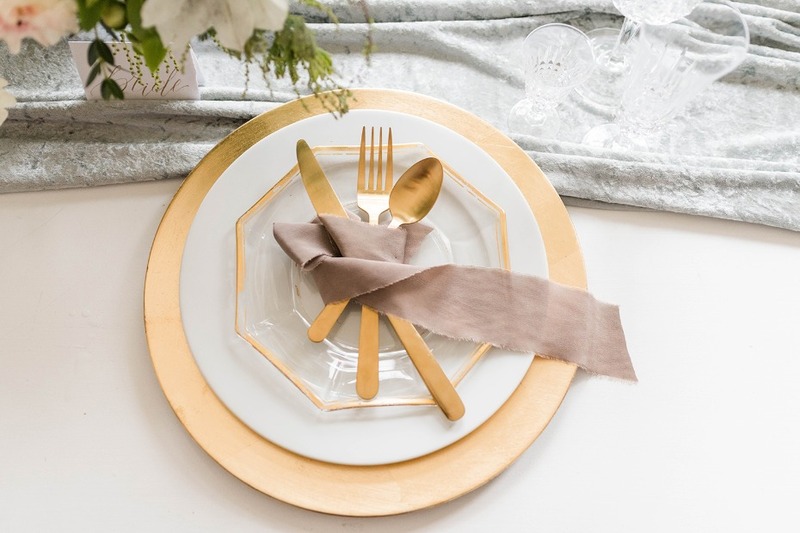 From the elegant invitation suite to the beautiful tablescape for two, be sure to pin your favorite ideas for later! Keep scrolling to see it all, plus enjoy the full gallery + film below. From Sweet Williams Photography: "Though the seasons change, your love remains." 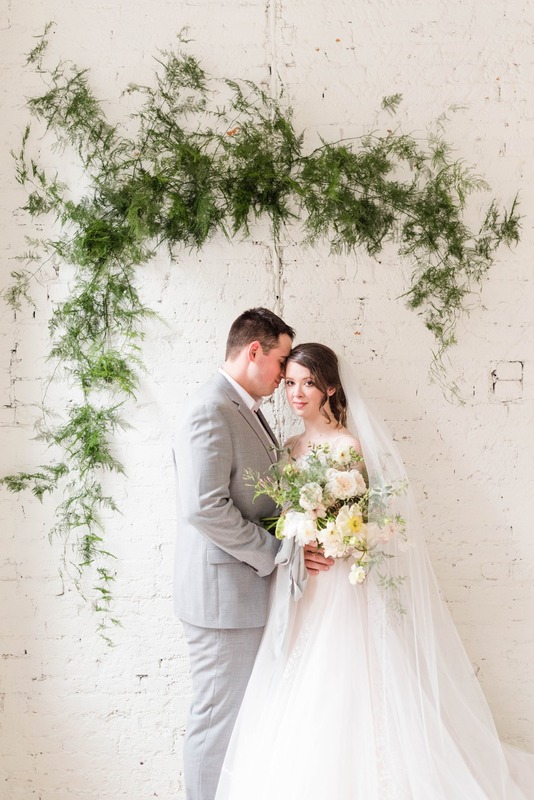 The elegant look of greenery and airy pastels inspired this fine art elopement. 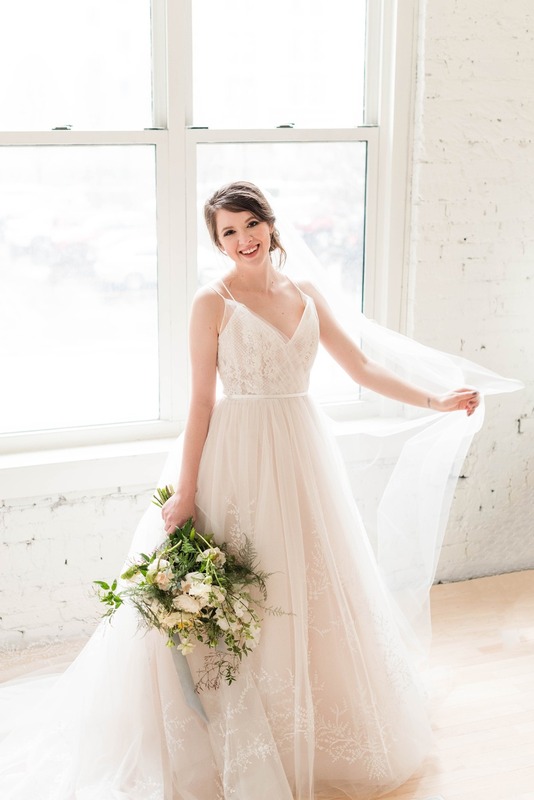 The bride was dressed in a delicate gown that represented a fresh ethereal look. 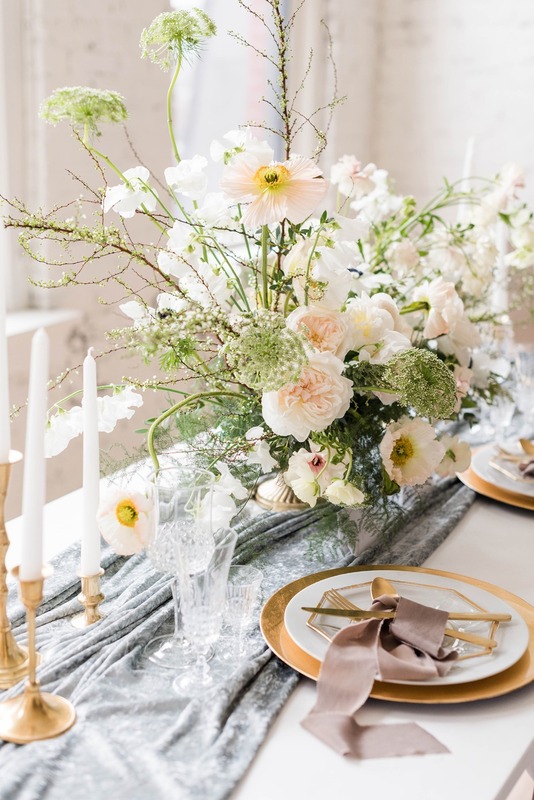 A velvet run table, tall candles, and overflowing floral arrangements conveyed a carefree elegant romance. 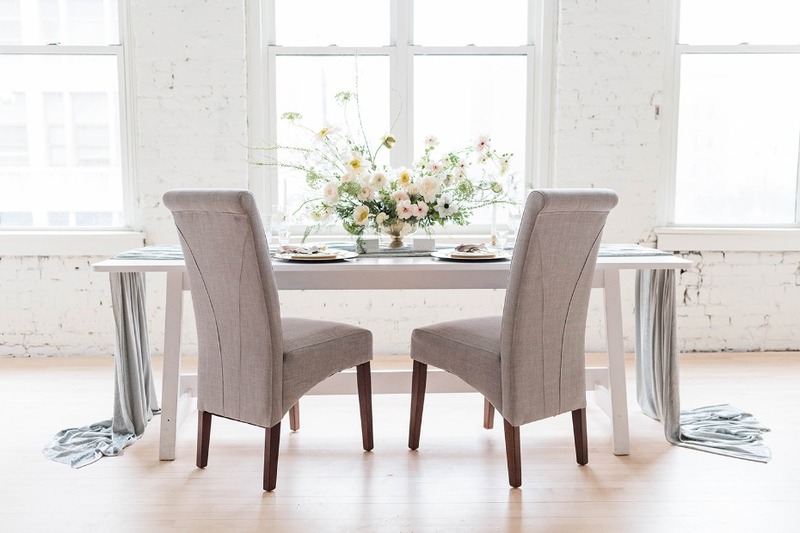 A simplistic but intimate setting to exchange vows and love for one another. After all, that's what it is all about, the vows and love! The contrast between everlasting love through the changing of seasons was truly exquisite. 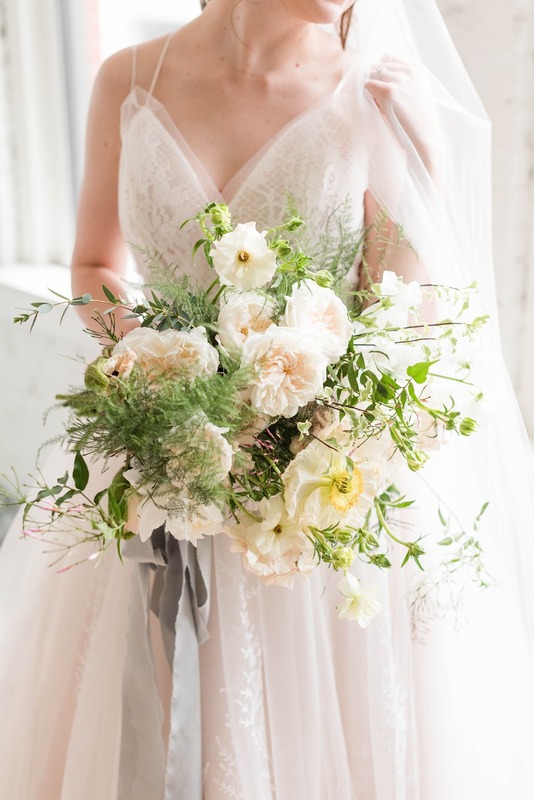 My favorite part about this styled shoot was the floral arrangements. 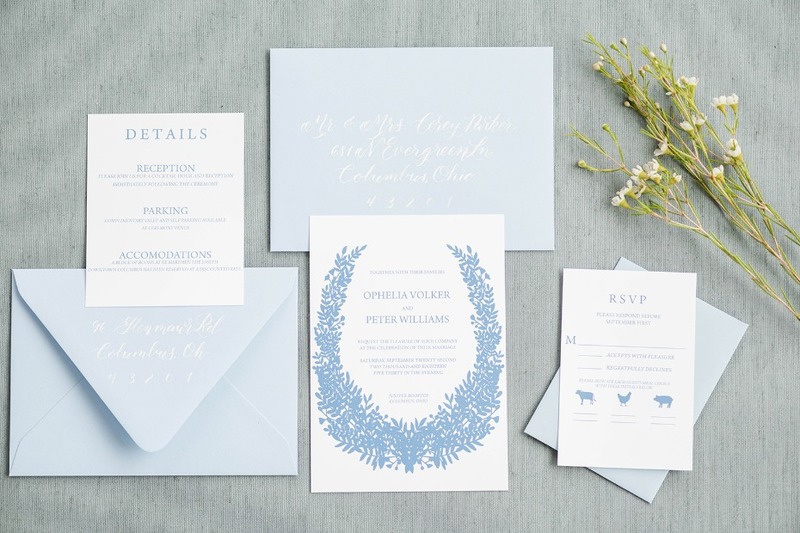 Passiflora Studios did an incredible job executing our vision of a fresh spring look. 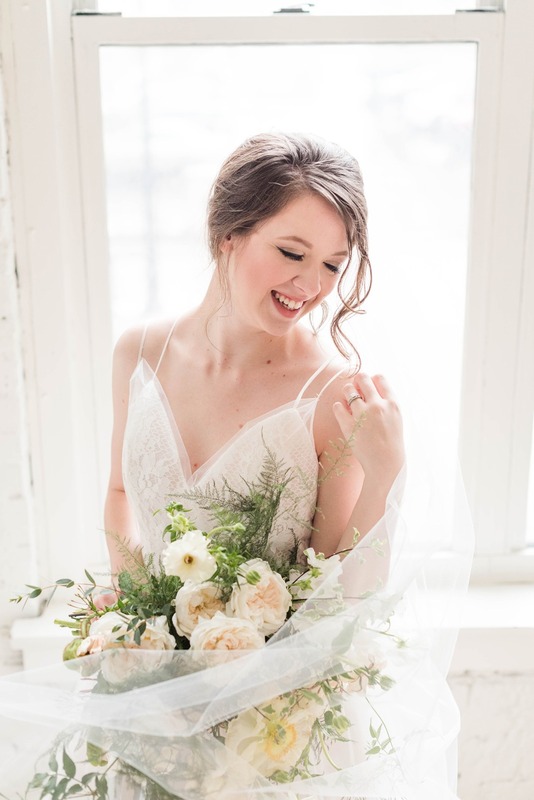 The ironic part about this styled shoot was that it was snowing like crazy outside!! Running through the slush to then set up a warm spring atmosphere was so much fun, a true escape from the snow globe just outside. 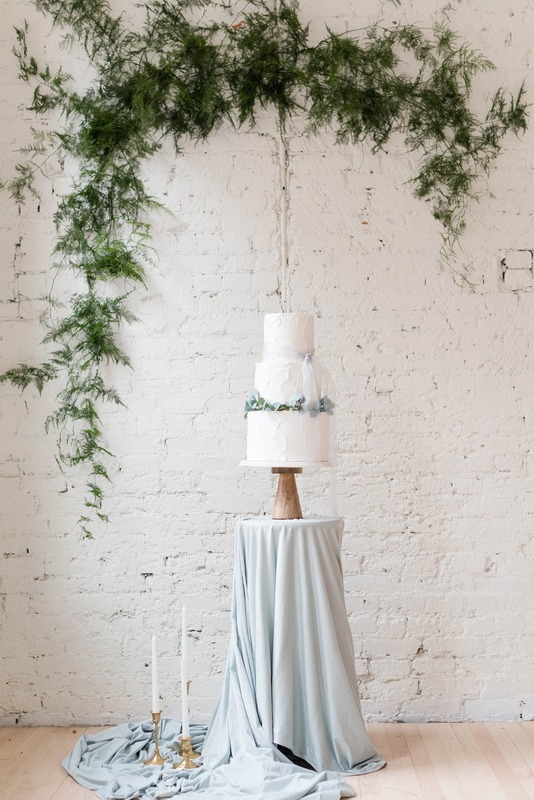 Check out the wedding film from Pasternack + Co below to get a closer look at this fresh spring wedding inspiration! 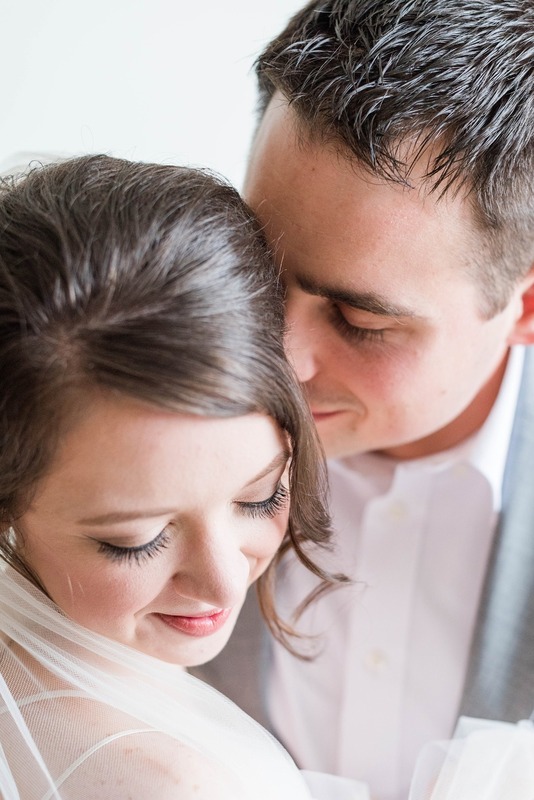 We partnered with Sweet Williams Photography to share these fresh elopement ideas for spring. As always, thank you for supporting our sponsors!